I enjoyed our Easter morning with family, however I missed the grandchildren and the girls as they were not with us this year. But I know that they were having a good celebration and they were happy with their family and friends. Happy Easter to You All and Have a Lovely Day. Our Easter morning at Park Lane we had a lovely Brunch. 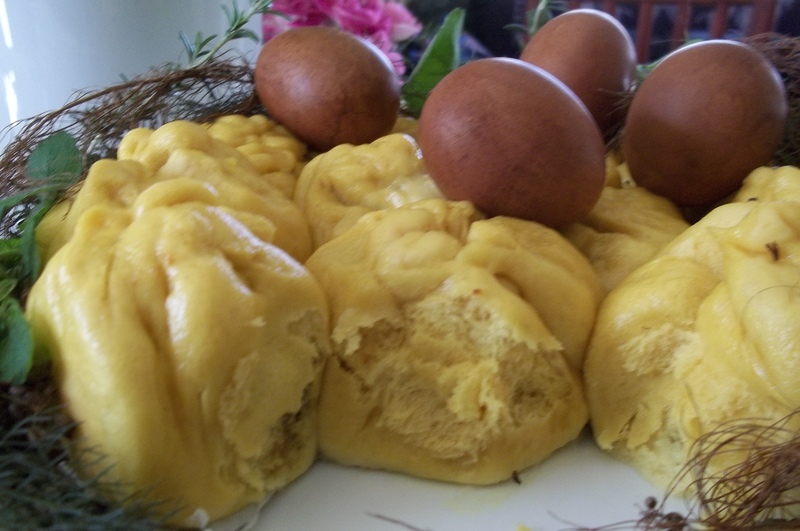 The Easter Crown was made out of steamed buns filled with delicious pork and beef. 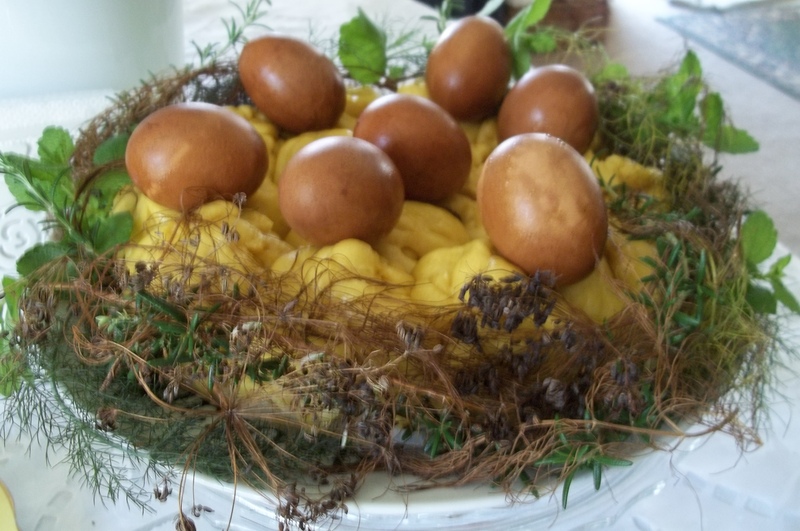 It is garnished with our boiled Easter eggs which are decorated beautifully with wild herbs. 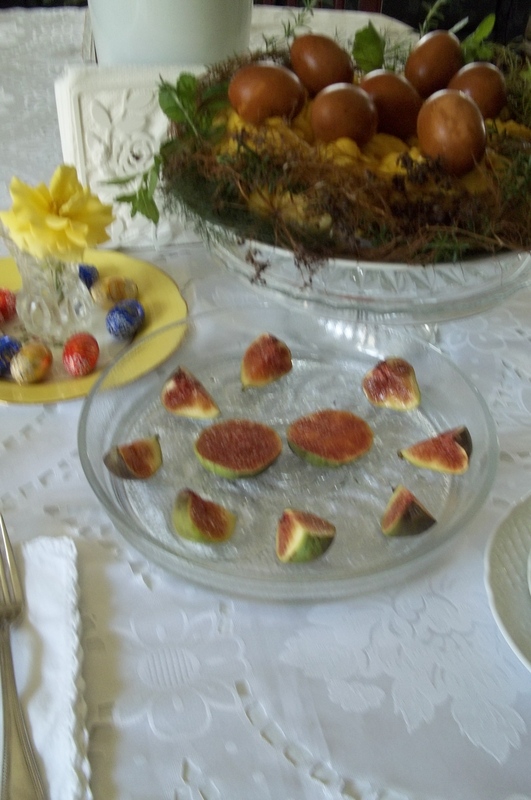 Fresh figs from our garden were enjoyed to refresh our palate specially after eating the eggs. Hot tea was served together with the chocolate eggs to end the brunch. 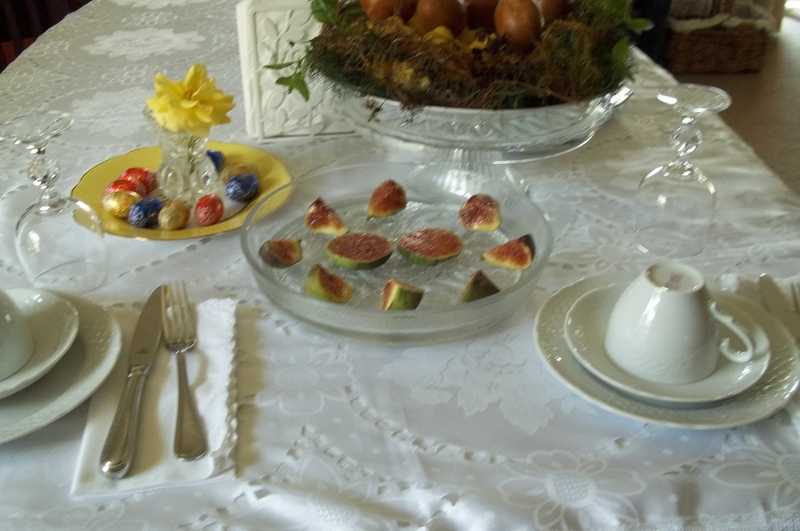 We had a very pleasant Easter morning and the feasting continue. 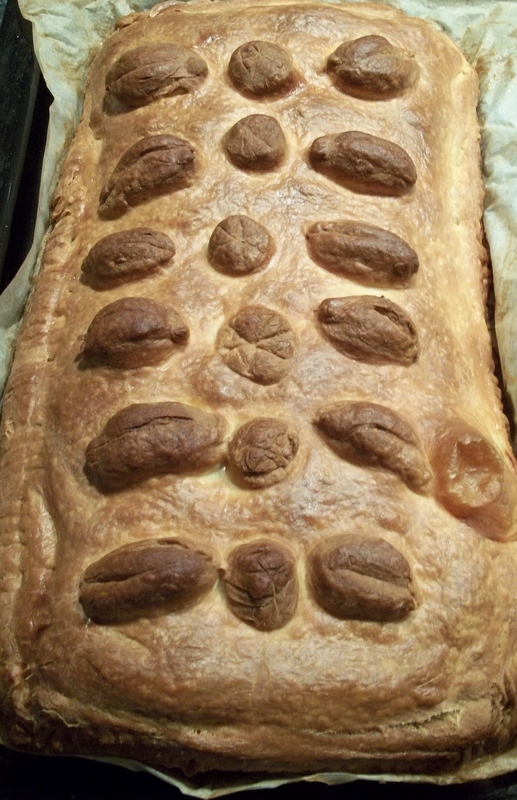 A Kulebyaka or Russian pie was served for early dinner. 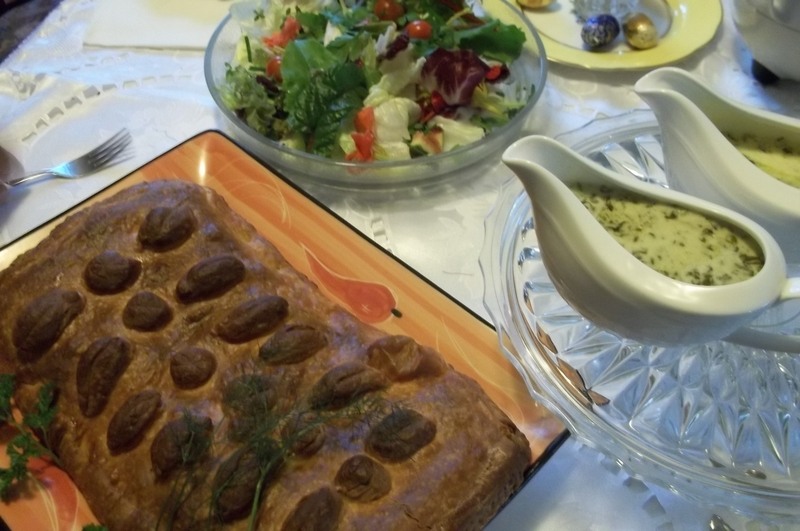 and it was served with a salad and sorrel sauce. 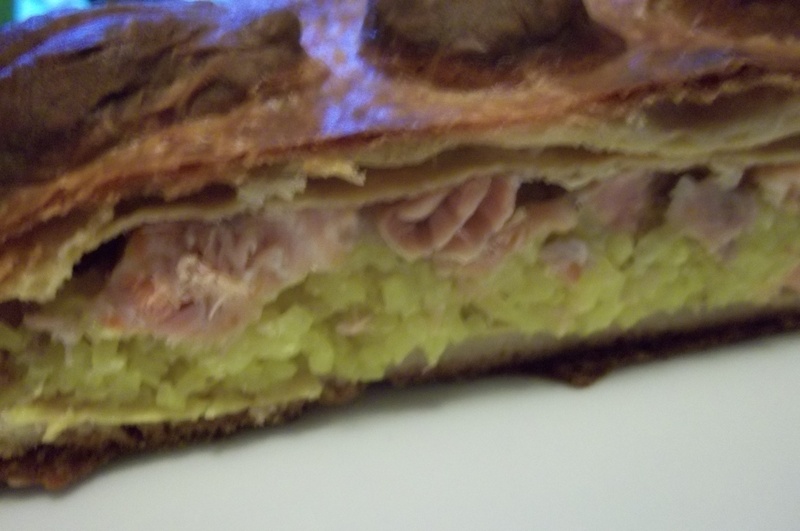 The filling of the pie were layers of rice, salmon and omelet. I am afraid I won’t be able to share the recipes for my Easter feast, as I don’t have them. 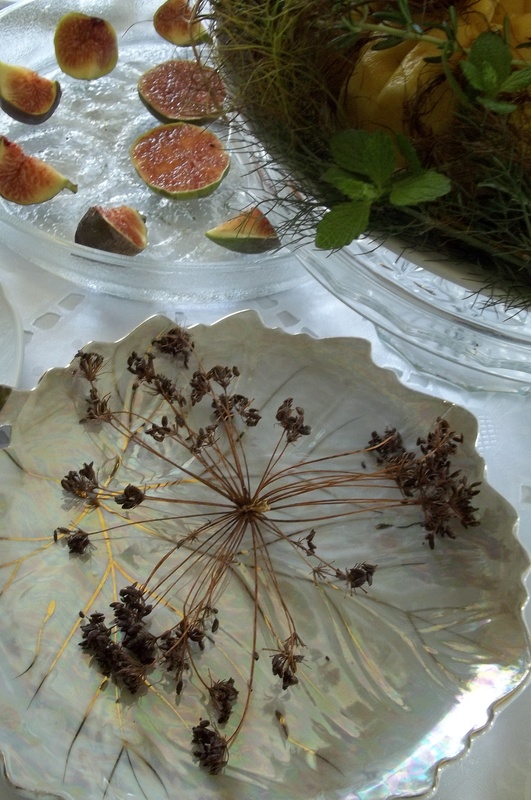 However I will show you the pictures of the pie and the garnishes. 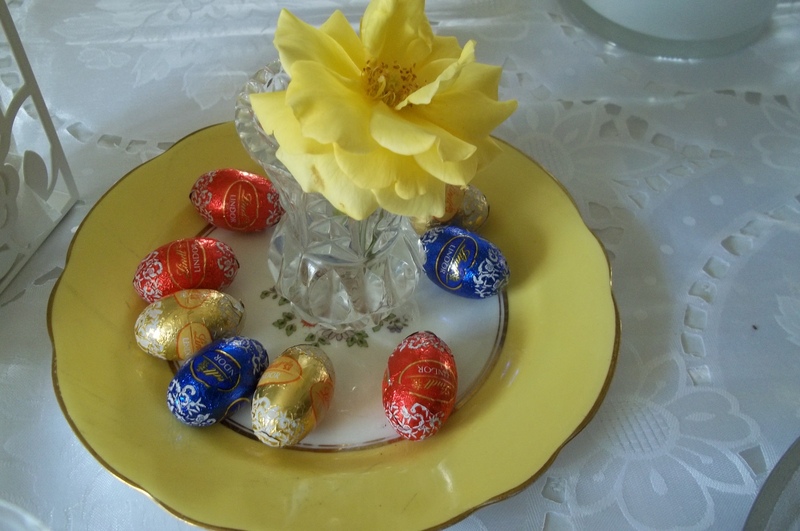 Tomorrow is Easter Monday, enjoy the holiday, have a lovely time. Tags boiled eggs, Brunch, chocolate eggs, Easter Crown, Easter morning, Fresh Figs, garden salad. 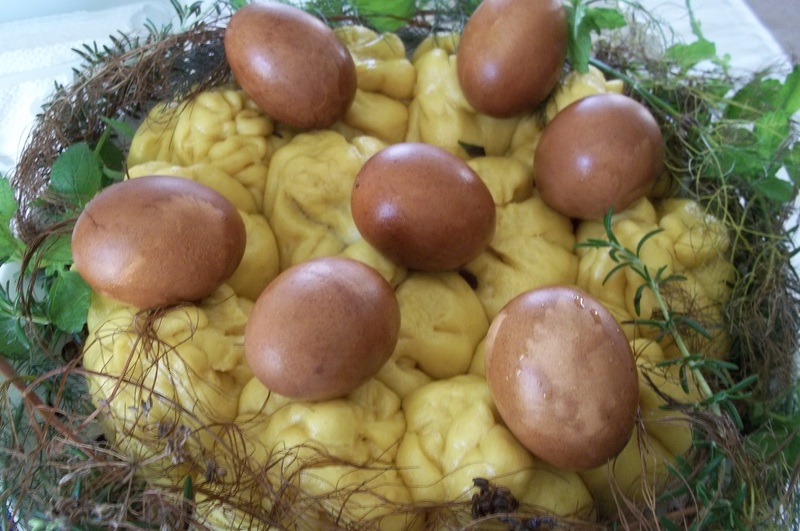 sorrel sauce, Happy Easter, mustard sauce, Russian pie-Kulebyaka.